Respiratory hazards may not be as easy to spot as other hazards on the job, but they are no less prevalent. OSHA estimates that nearly 5 million workers are required to wear respirators in over 1.3 million workplaces across the United States. It is crucial to that you and your fellow employees are wearing a respirator that fits, is effective, and is stored properly. Learn how to create and enforce an effective respiratory protection program in your place of work. 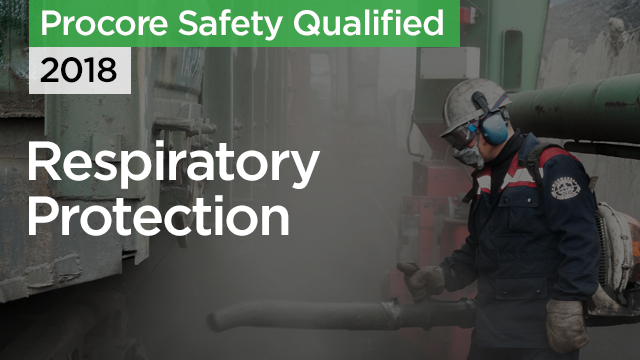 Identify the respiratory hazards you may come into contact with on the job. Recognize when engineering and administrative controls do not sufficiently isolate a respiratory hazard and a respirator is necessary. Learn how to ensure that every worker wearing a respirator is medically cleared to do so. Learn how to determine which type of respirator is most appropriate for the job you are faced with.